We love talking projectors with photographers. You all are equally obsessed with image quality. You speak our language! You also know that a crisp, big image will not only help display your work, it will also help sell it! We have put together this buyer's guide specifically for artists who want their projected images to match their creative vision. On the Road: How portable are today's projectors, and how easy are they to set up? Keys to Projector Color: Which projectors have the best color display? 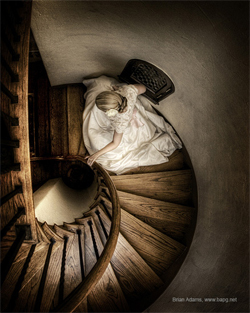 Making the Connection: Which connectivity is best in photography applications? Brightness, contrast and resolution, oh my! Basic projector specifications aren't complicated. You should know a little about each before you start projector shopping. Here are some tips. Brightness is measured in ANSI lumens. Simply put, more lumens equal more brightness. The amount of brightness you need depends on a couple of factors. Larger audiences require larger images, which in turn require brighter projectors. It's hard to go wrong with more lumens, especially now that high-lumen projectors are cheaper than ever. Amount of ambient light in the room you are projecting in. If you travel with your projector to client meetings, you should assume that there will always be tons of ambient light and buy a brighter projector. If your projector will stay put in a controlled environment, just about any brightness will do. View your images in amazing clarity and perfect color with these top projector picks for photographers. The contrast ratio refers to the difference between the blackest black and the whitest white in an image. A projector with a contrast ratio of 10,000:1 isn't necessarily five times better than one with a 1,000:1 ratio. The contrast ratio does not account for how the projector displays all the shades of grey in between the blackest black and whitest white. If the projector can't display those shades of gray, portions of the image will "blow-out" and appear pixilated when displayed on the big screen. So how can you tell which projectors handle those mid ranges the best? Look for projectors with more color control settings. Multi-color processing technology like BrilliantColor and sRGB modes will allow you to really tweak the projector's display to your liking. Also, our Projector Experts have seen most of our projectors in action. You can always call them for an honest opinion. Quick Tip: In reality it's not likely you would notice a significant difference between a 1,000,000:1 and a 500,000:1 contrast ratio projector unless you were comparing them in a cave at the center of the earth (or some other spot where no ambient light reached). In real life situations with ambient light, even the difference between a 1,000:1 and 10,000:1 contrast can be inconsequential. Resolution is essentially the number of pixels that make up the image. The more pixels, the more detail in your projected image. With some digital SLR cameras hitting the 24 MP mark, we highly suggest investing in an HD projector. Good news - these projectors have seen a huge drop in price in recent years. "Portable" used to be a status reserved for only a few projectors. Now, nearly all manufacturers make smaller models that fit nicely in your carry-on, with room to spare! In years past, the hands down favorite for accurate color representation has been LCD. However, DLP technology has improved significantly over the past five years, especially with the breakthrough of BrilliantColor technology, which includes an expanded color wheel featuring CMY colors along with RGB. Still, LCD technology is generally considered to display the most accurate colors. DLP projectors will create slightly softer images, with richer color and deeper blacks. LCD color will appear more true to life, with natural skin tones and more correct greens, blues, and particularly yellows. DLP offers better contrast ratios and less space between pixels (nicknamed the screen door effect). A few individuals report seeing "rainbows" with DLP projectors. To some, these prisms can be very distracting. Most people do not notice this color artifacting. The newest player in the display game is LCos. Remember, LCD is a transmissive technology whereas DLP is reflective. LCoS, in very simple terms, is a combination of the two - an LCD panel on a mirror. The amount of pixels is less restricted than LCD or DLP because the electronics can be placed under the pixel rather than next to it. This high pixel density means high resolution. It eliminates flickering, the 'screen door' effect and 'rainbows,' and provides an overall higher picture quality on moving images. Because of this, many viewers say LCoS projects the most film-like image. 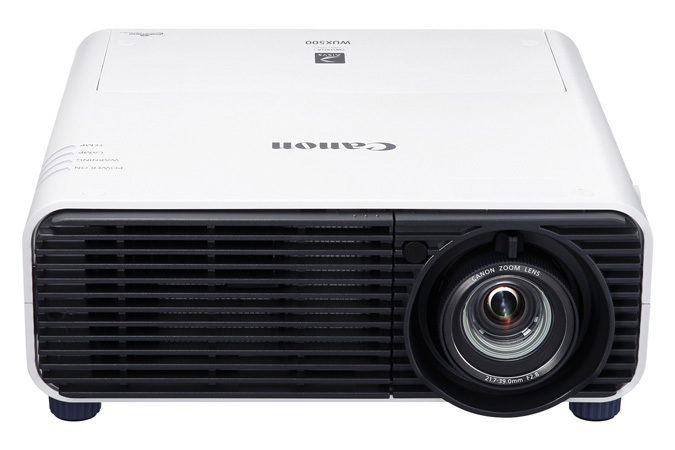 Look for this technology in Canon projectors. Are projectors plug and play? Pretty much. Connectivity options are very similar from model to model, but there are a couple of 'must haves' depending on how you want to use the projector. Many photographers will opt to connect their laptop computer to the projector. A growing segment of laptops now output through HDMI. This is the preferred method for transmitting your photography. It also doubles as a way to stream HD content like movies and video from your computer to projector or television. Not all laptops have an HDMI output, however. Older models may only have a VGA (analog) or DVI (digital) port. We highly recommend buying a good-quality VGA cable, even if your computer has a DVI or HDMI connection. Currently, VGA connections are everywhere. A proper cable will insure that you always have a backup plan for presentations. Lens shift and keystone correction are two features that help with the projector setup process. Keystone correction allows users to keep their image square when the placement of the projector is not square to the screen. This is a digital process, so there may be some image distortion when using this function. Keystone correction is less than ideal, and is designed for use when presenting in multiple locations. It should not be used in permanent installations. Lens shift enables users to physically move the lens within the projector housing. The image can be moved higher or lower, left or right, allowing you to be flexible in any presenting environment. We have heard time and time again from our photographically-inclined customers that investing in a projector pays off very quickly. The selling price of the average projector has dropped significantly, even in the past year. You may find that you can afford more than you thought you could. A higher resolution is generally more important than brightness, particularly when the projector is used as a sales tool for small audiences. A good way to approach your budget would be to start from the least expensive projector in the resolution you require, and work up with features and brightness. Calling a Projector Expert would also be a quick way to find your best deal. Whatever you choose, most of our customers report that they have made more than enough in increased sales to justify the purchase of a projector. Projector People sent award winning professional photographer Brian Adams of Brian Adams PhotoGraphics home with a projector to use during his work week. As far as features and functionality, I just want my images to look how I originally intended for them to look. So, great resolution, accurate color representation and adequate brightness are definitely important. Honestly, the 16:9 aspect ratio is not a very important feature for me, especially since the native size from my camera is 2:3. The biggest thing with projecting is the emotional impact it creates with my clients. I especially like to use projectors in my clients' home, because then they get the opportunity to see really large images in their own space, which helps them to better visualize what large canvases or framed art prints will look like in their home. There is absolutely NO comparison with my Dell laptop (duh!). I am SUPER impressed with the high quality resolution on these puppies! I also love all of the electronic adjustments for zoom, focus, brightness, color, etc. The projector and the remote control were VERY easy to use and I figured them out in no time without reading the manual. Would this projector pay for itself eventually? Yes! Probably in the first month! How does a projector pay for itself? We are not photographers, but some of our best clients are. And from customer reports, projectors can help increase business significantly in a very short time. Why? Because big images combined with the right presentation create that emotional reaction that makes people want to buy. A presentation is also a good way to visually demonstrate package options and upgrades. Here is a quick look at how projectors are sales tools worth their weight in gold (too bad they weigh less than 10 pounds). Projectors are portable. You can bring big images to client living spaces and show your clients exactly how amazing that framed portrait will look over their fireplace. Projectors provide a "theater like experience." Watch your clients feel like movie stars. 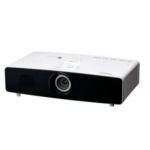 Projectors cost less than LCD or Plasma TVs when it comes to cost per viewing inch. Paper prints are more costly and require more frequent overhead expense. Print samples may not be returned by clients, costing potential sales. Paper prints require more processing time. The immediacy of digital can lead to more sales.